New York: Cause Celebrè is proud to announce Academy Award® Nominee Danny Aiello will star in what he calls “a role of a lifetime,” in the World Premiere of Susan Charlotte’s The Shoemaker, directed by Antony Marsellis. The Shoemaker will begin performances at The Acorn Theatre (410 W 42 Street) on Thursday, July 14; Opening Sunday July 24 through August 14, 2011. Tickets are $66.25 and can be purchased at www.Telecharge.com or by calling (212) 239-6200. Each performance will be followed with a Q & A with Mr. Aiello. Set in New York’s Hell’s Kitchen, The Shoemaker is a compelling drama that focuses on a shoemaker, an Italian Jew, on a devastating day that has become a turning point in American history. As each hour passes he confronts yet another part of his past, present and an uncertain future. This stage drama was made into a film called A Broken Sole starring Mr. Aiello, Margaret Colin, Bob Dishy, Judith Light, Laila Robins and John Shea which NBC film critic Jeffrey Lyons described as “…a daring movie which takes a lot of chance and comes up a winner…deeply moving and compelling.” An earlier one-act stage version of The Shoemaker starring Danny Aiello was presented Off-Broadway (July 2010) and played to sold-out audiences. The response was so strong that Ms. Charlotte decided to expand the play into a full-length version which will be premiered in July. 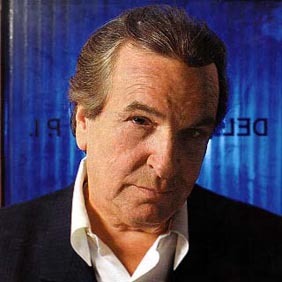 DANNY AIELLO (The Shoemaker) A versatile actor, who was nearly 40 when he debuted as a baseball teammate of Robert De Niro and Michael Moriarty in the film Bang The Drum Slowly. His other film credits include: The Godfather, Part II, Fort Apache, the Bronx, The Purple Rose of Cairo, Moonstruck, Do the Right Thing (Best Supporting Actor Oscar Nomination), Once Around with Richard Dreyfus, Holly Hunter, Gena Rowlands and Griffin Dunne, Hudson Hawk with Bruce Willis, 29th Street with Anthony LaPaglia, Ruby, Mojave Moon with Anne Archer and Angelina Jolie, and 2 Days in the Valley with Glenne Headly. TV: “Family of Strangers” (Emmy), “Tales of the Darkside,” “Lady Flue,” “The Preppie Murder,” the miniseries, “Mario Puzo’s ‘The Last Don,'” Christine Lahti’s Oscar-winning short film, “Lieberman in Love,” which aired on Showtime, and the film version of The Shoemaker, called A Broken Sole with Judith Light. He also starred in and executive produced Dellaventura. Theatre: Lamppost Reunion (Broadway), Gemini (Obie Award) – began Off-Broadway then went to Broadway, Wheel-barrow Chasers and Knockout (Broadway), Woody Allen’s The Floating Lightbulb, John Guare’s The House of Blue Leaves and David Rabe’s Hurlyburly (L.A. Drama Critic’s Circle Award). When Danny is not making movies, he’s touring with his eight piece swinging jazz band, lead by bandleader Joe Geary. His show consists of songs from his albums, I Just Wanted To Hear The Words and Live From Atlantic City. The New York Times writes, “Mr. Aiello’s singing has the bounce of his idols Bobby Darin, Frank Sinatra and Louis Prima, and the throaty lyricism of another idol, Tony Bennett.” Danny has also received many awards for his numerous philanthropic endeavors and contributions to film and television, including his work with Major League Baseball’s “Stand up to Cancer Campaign” and his PSA’s for various police and fire organizations, including post 9/11 events. SUSAN CHARLOTTE (Playwright) is an award-winning playwright who is the recipient of the prestigious Joseph Kesselring Award. A prolific writer, her plays have enjoyed productions throughout New York for over twenty years. Her last production Love Divided By/ Times Three which was presented Off-Broadway in the fall of 2010, had an original score by four-time Emmy winner Billy Goldenberg. Her film credits include: A Broken Sole, which was released theatrically in 2007, starring Danny Aiello and Judith Light and directed by Antony Marsellis. The new version of A Broken Sole entitled Something Like That, will be released this September in New York. Come On which premiered at the East Hampton Film Festival; and Love Divided By (based on her play) which has an original score by Philip Glass and was chosen to open MoMA’s Titus II theatre. Her TV credits (network and cable) include: CBS’ “The Comedy Zone” which starred Patty Duke and Paul Reiser and daytime series “Loving” and “Guiding Light.” Fascinated by the creative impulse she wrote two acclaimed books, “Creativity” and “Creativity In Film.” She further explored this impulse in her work as a professor at Columbia University (where she received her MFA), NYU and in such non-traditional places as Riker’s Island. It was this same impulse that drove her to create a school for writers, Prism Playhouse; the renowned theatre Food For Thought (winner of the NAC’s Gold Medal in Drama); and the not-for-profit theatre Cause Célèbre. She is currently working on a feature film and a play on which she collaborated with Broadway icon Peter Stone. She is a member of the Dramatists Guild and the WGA. ANTONY MARSELLIS (Director) continues to move between the worlds of theatre, film and television. He has directed numerous plays around the city and country including Harold Pinter’s Night School, Samuel Beckett’s Krapps Last Tape, and Happy Days as well as the stage version of his critically-acclaimed films, Men of Manhattan and A Broken Sole. He has had the privilege of collaborating on stage and screen with the finest of New York’s acting community including: Danny Aiello, Peter Bogdonovich, Tyne Daly, Bob Dishy, Christine Ebersole, Judd Hirsch, Judith Light, Tony Roberts, Marian Seldes, John Shea, Frances Sternhagen, Elaine Stritch, and Kathleen Turner. Plays directed at the Theatre Row include: Susan Charlotte’s The Shoemaker (one act version), and Love Divided By/Times Three, Tom Fontana’s This Is On Me and A.R. Gurney’s The Love Course. He is a member of SDC.